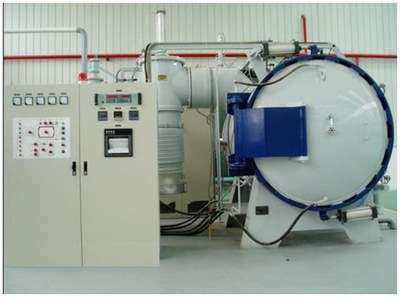 Adopts the heating tubes of vacuum furnace, which is used graphite as a vertical vacuum resistance furnace heating elements, the vacuum and atmosphere, high temperature sintering together, the highest working temperature of 2100 degrees, is suitable for the material of vacuum heat treatment, vacuum sintering, the sintering atmosphere. PID regulation, self-tuning function, crystal modularization controllable silicon control, high temperature control precision. Relevant sintering material is ceramic, metal compounds, inorganic compounds, nano materials, fluorescent powder sintering and sapphire annealing, vacuum tubes sintering furnace is often used in laboratory of colleges and universities equipment. 1. The heating power supply of the carbon tube vacuum furnace adopts the thyristor and the large current transformer. The control system is equipped with overpressure, overcurrent, broken water, high water temperature alarm function and automatically cut off the heating. Temperature temperature control adopts thermocouple + infrared instrument, (thermocouple has automatic withdrawal device) to adjust the output voltage of the power controller to automatically realize the heating/cooling control of the furnace temperature. The system also retains the function of manual heating to be used when needed. 2. The operating system of the vacuum furnace consists of the temperature control instrument and the thermocouple + infrared instrument to control the temperature control loop, directly control the voltage on the heating body and realize the temperature cycle control. The main control instrument is the Japanese conductive brand FP93 series, multi-stage program control temperature; The monitoring instrument is in series 508 series, and the temperature is recorded in the touch screen. 3. The electric control cabinet is the standard cabinet of the weitu, and the action control is realized by one omron PLC, which can realize the electrical interlocking and system protection functions through programming. PLC communicates with the touch screen, and can set the action parameters on the touch screen.